Good news, everyone: We've officially broken through the beer ceiling. That's right! As of 2016, there are now more breweries operating than at any other point in American history. And by that token, this also means that we've never been faced with so many options for great beer. Oh, the options! 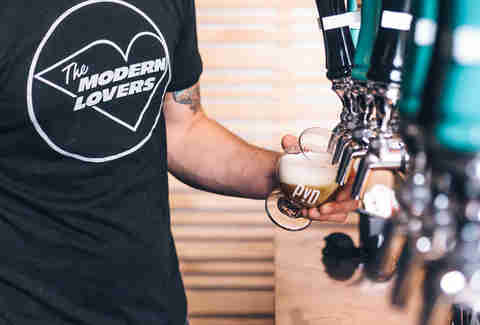 But seeing as breweries opened at a rate of about two each day last year, it can be a daunting task to stay up on the most promising stars of the freshman class, especially as a casual observer. As always, we've come through with some of the breweries who opened their doors in the past 18 months and wasted no time pumping out some of the most adored beers in the corners of the country, as picked by us, our colleagues, our friends, our families, and in at least one case, a rap duo. If you haven't been to Virginia recently, you really should pay it a visit. Like the rest of the country, the state has seen a massive boom in brewery openings in the past few years. But unlike most other states in the country, a whole hell of a lot of them are *super-good. * The Veil arguably emerged from the pack as the most hyped of the bunch, which might make sense when your head brewer has spent time working at both Hill Farmstead and The Alchemist. What's clear, though, is that the expertise isn't limited to a few styles, or even married to the traditions of the breweries that schooled him: There are the hit IPAs you might expect like Weekend at Bronzies -- made with pineapple and as cloudy as Tropicana -- but then there's also the tart Never Heardofit gose (made with blueberries) and the herbaceous Ice Cold Smoke saison that showcase how deep the brewing talents here really go. New Yorkers aren't always accustomed to waiting very long for good things to come their way. 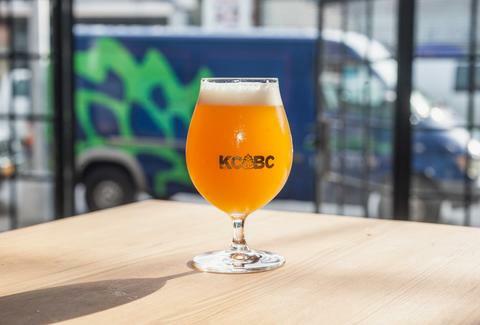 So when King County Brewers Collective opened its doors as the first brewery in 40 years to operate in once-beer-heavy Bushwick, locals showed up plenty thirsty with slightly higher expectations than your average Gothamite. Luckily, there was no learning curve for co-founders (and friends) Pete Lengyel, Tony Bellis, and Zack Kinney, who met each other attending local homebrew club meetings and have holding jobs at other local breweries. Pop into their tasting room and you'll probably find their delicious Dangerous Precedent IPA or Janiak Maniac Czech Pilsner (named after their old-school Brooklyn-native landlord). If you're lucky, you'll be able to score a crowler of one of their collaborations with other local brewers, including the Yeah Buddy! DIPA made with Queens-based Finback Brewery or Taco Wednesday hoppy lager, made with Interboro (which also happens to be on this list). Head brewer Russ Heissner, who honed his skills working up I-93 at Harpoon, isn't out to create a single beer to make a name for his new brewery; instead, he's focusing on small batches of beer that he only intends on making once. Through use of collaborations with other brewers, special ingredients, and a focus on aging in spirits barrels, Barrel House Z has already pumped out some seriously impressive beers in its few short months of existence, including the Sunny & 79 Ginned Pils (a tequila barrel-aged Bohemian Pilsner made with juniper and citrus peel) and Adeline, a deliciously smooth stout aged in American whiskey barrels. It's way too early to tell what the success rate is to have a style brewed a second time, but for now none of the fans in the brewery’s tasting room seem to mind the adventure of an ever-expanding portfolio. 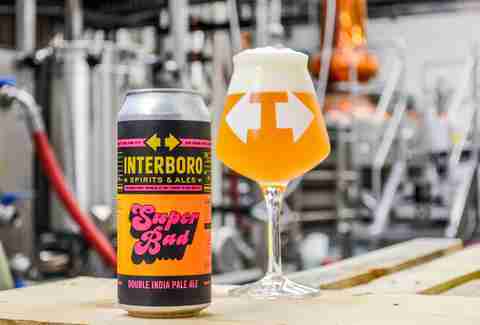 For beer writers, one of the best things about the the New England IPA trend is that we get to use the word "turbid" a lot more often. The next best thing is how quickly the East Coast's reinterpretation of the West Coast's reinterpretation of a classic British style is being reinterpreted with such success back west. In most beer circles, 2016 was the year Moonraker's name began popping up not only as California's newest, best-received response to cloudy, dank IPAs, but also just as a damn good brewery, period. Solidified by an award from RateBeer as the best new brewery in California, Moonraker went from being a woefully overlooked campy Bond film to a white-hot name in the industry, with beer geeks clamoring for cans of its juicy Yojo IPA, the Holy Hermit Imperial IPA, and Vesper's Nine milk stout (which gold medaled at the US Open Beer Championship). 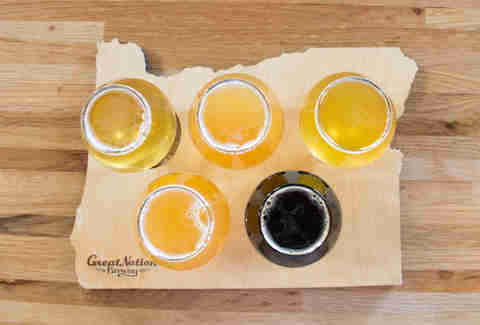 The tiniest state in the union has certainly had a lot to celebrate about their local beer scene lately. In mid-2016, Long Live Beerworks joined a growing list of breweries in the Ocean State that are grabbing attention despite the close proximity to their more celebrated New England neighbors. Surprisingly the first microbrewery to open its doors in Providence, its self-described mission is simply "focused on creating hop-forward craft beer for little Rhody." Well, if lines out the door since opening day are any indication, then there's big action in little Rhody, especially for anyone looking to get their hands on some Wesside IPA, the All Seeing Eye double IPA, and the Harry May oatmeal coffee porter. Even before DRAFT Magazine listed it as a brewery to watch in late 2016, it was pretty clear that Civil Society was destined for some form of greatness. For starters, it's already attracted literal major-league talent: a cousin of head brewer and co-founder Karl Volstad has taken the mound for four MLB teams (and has even worked behind the bar slinging pints). Setting up shop in South Florida smack dab in the middle of what Volstad called a beer "wasteland," he’s been able to quickly build a reputation for hop-forward beers like Pulp -- a full-bodied but bright wheat ale with tropical fruit notes -- and Subject Eleven double IPA. The brewery isn't a one-trick pony, though: Solid hit beers like Grandma's Lemonade Berliner Weisse, Morning Fix brown ale, and Bella's Revenge imperial stout are as welcome on the starting lineup. Some breweries have big first years that come in the form of big awards, instantly hyped can release dates, or headline-grabbing collaborations with some rappers named Killer Mike and El-P. If your first year was somewhat of a combination of all of those, you'd be off to about the same start as Interboro. All styles are approached here with equal attention to detail, from the roasty Approved Stout to the clean, easy-drinking Bushburg Pilsner to the juicy American pale ale, A NY Thing. If that's not enough, it's also the only one to be in both the brewing and distilling game in Brooklyn. Oh, and did we mention that these guys made a beer for Run the Jewels?! Let's be honest: There are times when it feels like Jersey hasn't gotten a fair shake in the beer scene. Chances are that if you've only heard of Magnify recently, it was probably from someone gushing about its insanely well-received New England-style IPAs. Those who've actually made the trip to Fairfield to try its beers in its taproom would know that the brewery's equally adept at making funky, Brett-heavy beers aged in foudres (giant barrels) like the Search Saison or dark, roasty beers like the Black Wheat as it is at making hazy hop-bombs. This probably has something to do with the fact that both the founder and head brewer have plenty of industry experience, with the latter cutting his teeth with the likes of the Bay Area's Almanac Beer Co. and Speakeasy Ales & Lagers, as well as Brooklyn's iconic KelSo Beer. Expect 2018 to bring even bigger things, in a way that only North Jersey can. For some people, having a major hand in one of the most storied, inventive breweries in the United States would suffice in the career development department. For folks like Prairie Artisan Ales brewer Chase Healey, branching out to start your own experimental brewery is just a way to get back to focusing on the parts of your job that you love. 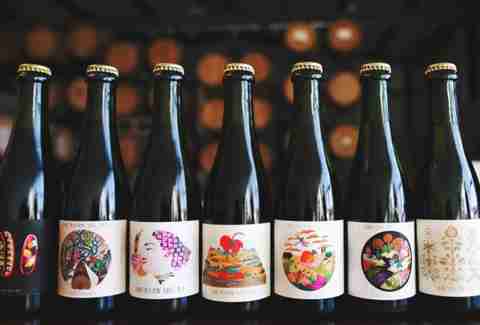 Since opening in August, American Solera's releases have focused mainly on Healey's wheelhouse: barrel- and foudre-aged brews (many spontaneously fermented, some aged on fruit) with the only rule being that the beer is released when it's good and ready. For those who like to drink on the geeky side of things, breweries like this opening their doors is a godsend. And just in case you're worried it might be taking all of this too seriously, it's probably worth noting that one of its most popular beers to date is called "New Phone Who Dis?" When it comes to harsh critics of local talent, it doesn't get much worse than Boston (just ask anyone who played for the Red Sox in the '90s). So imagine the pressure of having to start a brewery in an already-crowded beer town with higher-than-average expectations… only to find throngs of eager customers from day one. Ever since opening at the tail end of 2015, Castle Island has been able to quickly make its way into stores and bars across the Bay State, from beachside bars on the Cape and the islands out through the Berkshires and Pittsfield in almost no time. And for good reason: Its beers are across-the-board amazing, from the easy-sipping Candlepin session pale ale to the roasty TBD stout to the delicious (and amazing Kingpin reference) Big Ern double IPA. Named after Oregon's favorite novel (the Ken Kesey one, with respect to the collective works of Beverly Cleary), Great Notion took over the tanks (and massive patio) at the bustling Alberta Arts District's not-so-great Mash Tun and immediately made good on its pledge to make beers "with the passion for hops and the patience of sours." This is, after all, a brewery that shifted IPA pioneer Oregon's apprehension toward the cloudy East Coast style into a passion thanks to instant favorites like Juice Jr. Meanwhile, it's also down to get playful even when working with Euro brewing traditions, as best exemplified by the Blueberry Muffin sour that tastes like a fermented version of a store-bought breakfast treat and a stout inspired by -- weirdly -- Marshmallow Fluff. But just as a pizza joint is only as good as its cheese slice, a brewery that does stunt beers is only as good as its basics, and Great Notion also makes a damn fine regular IPA. 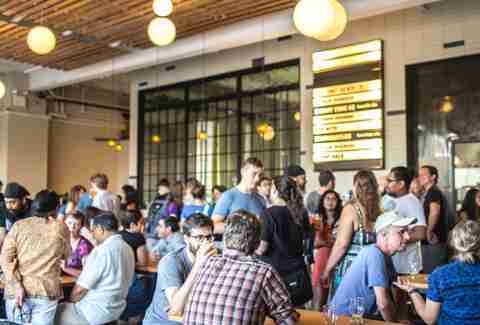 Local beer experts are already saying that it's changed Portland beer forever. Here's hoping that the change means more beers this deliciously playful in a city that isn't exactly hurting for new options. 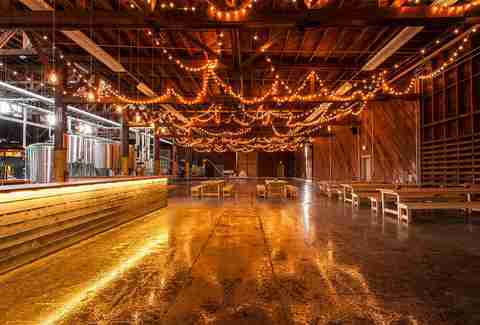 For a lot of gypsy brewers, just opening a taproom is a big deal. For Brian Mercer -- who has been floating around LA to make BW's lauded beers since 2010 -- opening an actual production brewery meant a literal big deal: He took over a 70,000sqft decommissioned warehouse and started dropping instantly beloved Belgian-style ales and unfiltered Pilsners like Popfuji in a perpetually packed San Pedro hotspot, with 17,000sqft of outdoor space complementing its 8,000sqft indoor palace of beers. People flock for a taste of the barrel-fermented Saison Extra, the hop-pressed Switcheroo, and the Mør Mør Belgian quad clocking in at a whopping 12.5%. Which is to say, Brouwerij West was doing great things when it was brewing on other people's systems. Now that it's found a new, enormous home, it's showing SoCal that it's just getting started on innovating. Longtime brewer Matthew Steinberg left his post at Amherst's High Horse brewpub to open Exhibit 'A' last summer in the former digs of the brewery that originally put Framingham on the craft map, Jack's Abby. But it wasn't long before Steinberg's brewery was garnering plenty of attention in its own right. 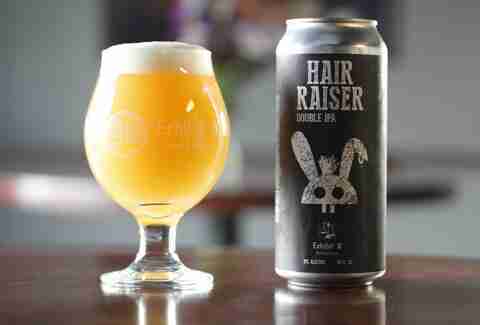 Its Hair Raiser double IPA is a palate-pleasing showcase for its blend of Galaxy, Azacca, Mosaic, and Cascade hops, but this place isn't just about bringing the heavy hop load. Need evidence? Consider the incredibly clean Goody Two Shoes kolsch as… wait… we had something for this. What's a common phrase describing the first piece of evidence when making a case? Chris Betts has been brewing outstanding beers under the name "Transient" for a few years now, turning out stunning sours and other covetable brews crafted on equipment from assorted breweries in the Chicago area. However, he's a transient no more (get it?! 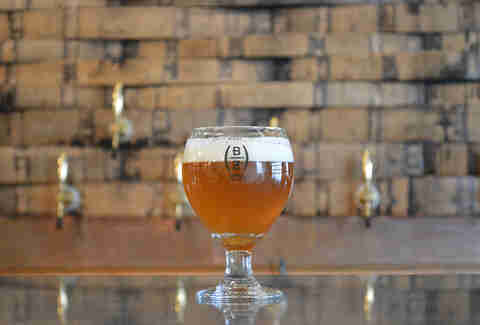 ), having set down roots at a Michigan facility where he's able to take advantage of the wild yeast afforded by Southwest Michigan's plentiful vineyards and orchards to make trademark funky brews like the Imperial Peach Maigre (a puckery Berliner Weisse) equally plentiful for Midwest beer geeks. Of course, it's not just about the funk -- The Juice Is Loose is about as fine a rendition of a New England-style IPA as you'll find outside New England. Matt Lynch and Andy Kryza drank beers for this story.